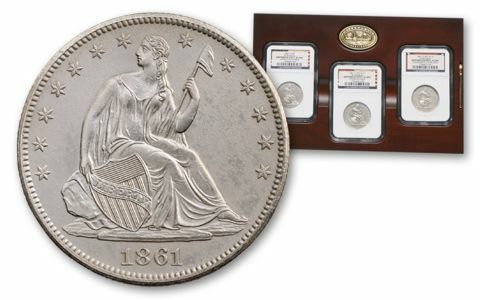 New Orleans in the Civil War era was a city of intrigue, mystery and changing fortunes-a story nicely illustrated by the beleaguered branch of the U.S. Mint. 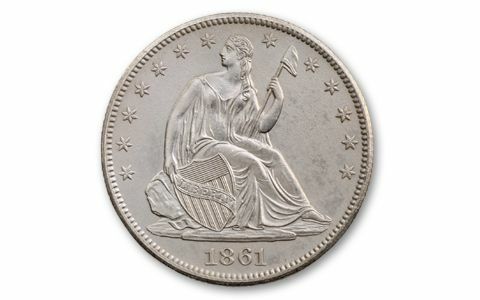 The New Orleans Mint was under Union control until the State of Louisiana and then the Confederacy took over in 1861 at the start of the Civil War. 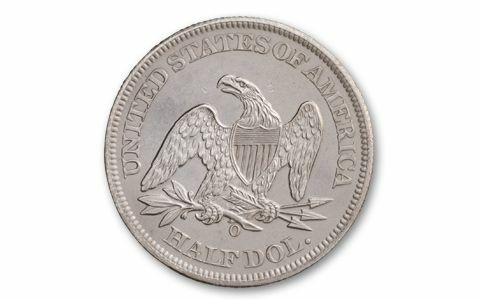 Each of the three governments struck the Liberty Seated Half Dollar, the only U.S. coin made by three different governments. Until recently there was no way to tell the three coins apart. 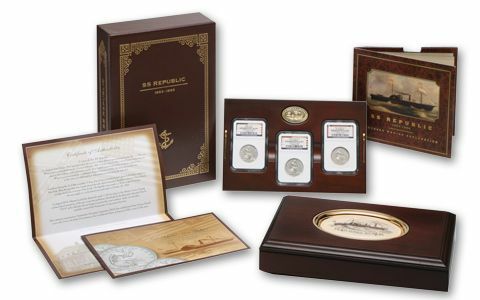 Ironically, were it not for the fact that these very silver half dollars mysteriously made their way to New York during the Civil War and were inexplicably aboard the SS Republic when it sank on its journey to New Orleans in 1865, it may never have been possible to identify the three different coins. 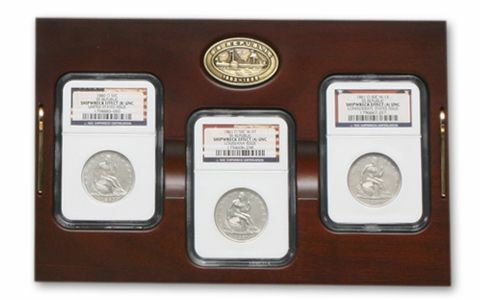 The mystery is finally solved, and this intriguing set features all three coins.